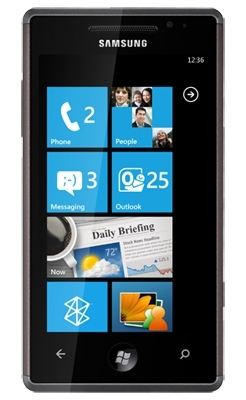 "The first Windows Phone 7 software update, codenamed "NoDo," will RTM in January, possibly this very week and in time for the CES keynote. But it won't ship to users until early February, once the carriers sign off on it. This update will include the famed copy and paste functional addition, support for the Qualcomm 7×30 smart phone chipset, a CDMA location stack, and a number of software fixes." Wondering what you can expect for updates in 2011 for your Windows Phone 7 device? Paul Thurrott over at the Windows Phone Secrets site has some information. The hotly anticipated copy and paste feature should be shipping in an update around the first of February, and later in the year Internet Explore 9, a new rendering engine, and more should appear. Additional details are available via the Read link. "But it won't ship to users until early February, once the carriers sign off on it. " The carriers would never allow that, they need to remove some features so they can sell you added services. Look at Android and how some carriers put their stink all over it, I expect them to do no less for WP7. The only thing the carriers can do is block the update notifications for one cycle only, they cannot change/add anything to them as they come direct from Microsoft through the Zune software.